Kepler's Supernova Remnant: Was Kepler's Supernova Unusually Powerful? 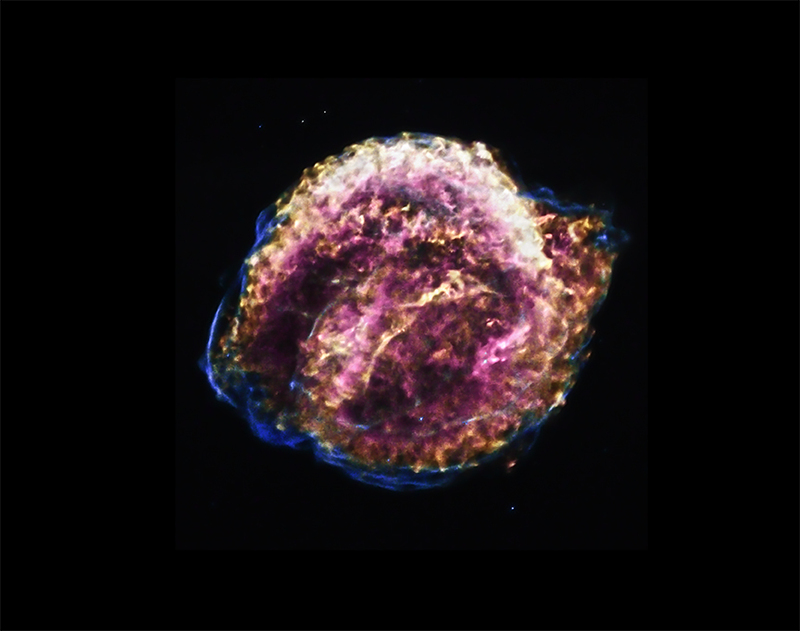 In either model, the X-ray spectrum - that is, the amount of X-rays produced at different energies - reveals the presence of a large amount of iron, and indicates an explosion more energetic than the average Type Ia supernova. Additionally, to explain the observed X-ray spectrum in this model, a small cavity must have been cleared out around the star before it exploded. Such a cavity, which would have a diameter less than a tenth that of the remnant's current size, might have been produced by a fast, dense outflow from the surface of the white dwarf before it exploded, as predicted by some models of Type Ia supernovas. The asymmetric shape would not be due to the fact the remainder to be decreasing in size, as it happened in 1604 with his shine? This is a great discovery of NASA's Chandra X-ray Observatory, that amazes for the quality of the image and overcoat the studies in the immense Universe. 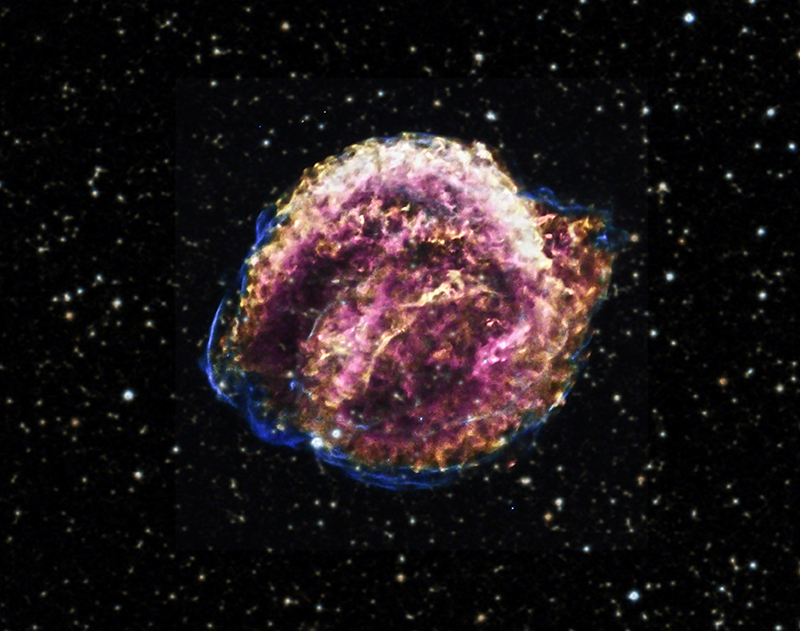 A debris from a supernova observed in 1604. 13,000 - 23,000 light years from Earth. X-rays from Chandra X-ray Observatory with Optical data from the Digitized Sky Survey. X-rays are red, orange, green, blue and magenta.